Instead of being embarrassed by a hard water deposit, or spending hours trying to use a cleaner on shower doors, just apply this protector every few months and water will bead off. TriNova Shower Door Protectant is formulated using cutting edge liquid repelling technology. 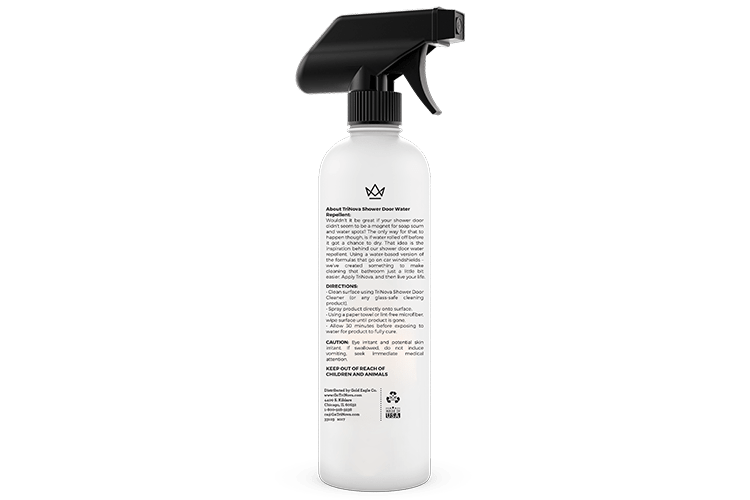 This coating will provide protection for your glass surfaces. Put it on your window, windshield, RV glass, Mirrors, visor…any glass surface that might get wet. It wouldn’t be helpful to repel soap scum and hard water by replacing it with a hazy film. 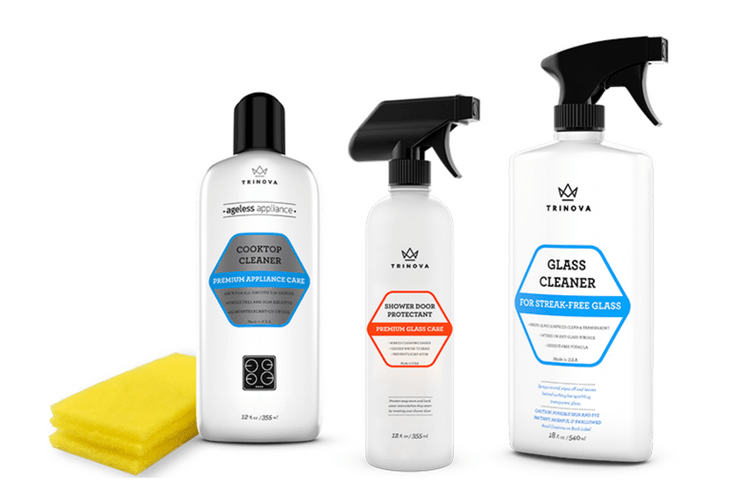 Our product goes on easy and dries clean and crystal clear. 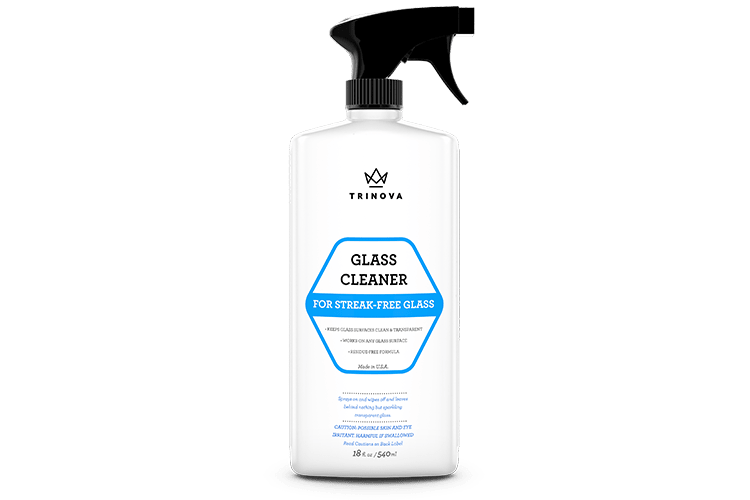 First, clean the surface using TriNova Shower Door Cleaner. 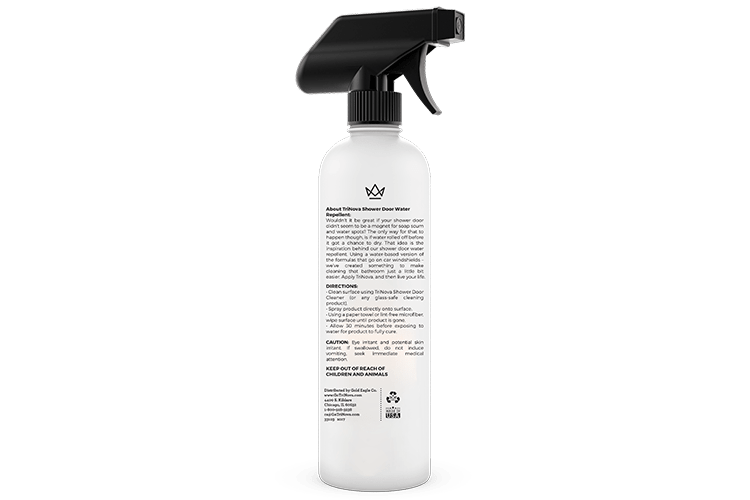 Spray product directly onto surface. Using a paper towel or lint-free microfiber, wipe surface until product is gone. Allow 30 minutes before exposing to water for product to fully cure. TriNova® Shower Door Protectant is rated 4.3 out of 5 by 4. 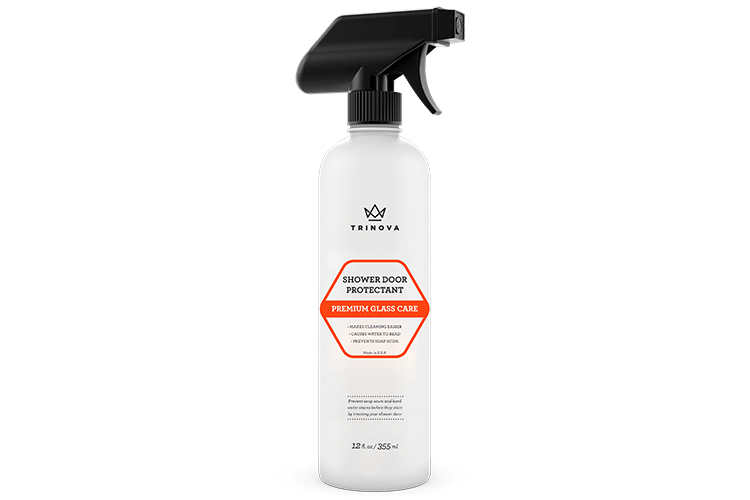 Rated 5 out of 5 by Eric_S5 from Great Product I have always been wanting to spend less time cleaning my showers doors, and so I purchased the TriNova Shower Door Protectant as a discount price. So the other day I got the spray bottle and followed the instructions on the bottle, making sure to start with clean glass doors and then spraying a good amount on each door and wiping with strong paper towels. It took me about 20 minutes to do this evenly but at the end I actually did see great results, since that evening after a few hours of letting it dry, I took a shower and did see the water not sticking on the glass, so this stuff works. Yes you will still get a few drops that tend to stay on the glass but if you give it a quick wipe the glass will look good again. I do recommend this product. 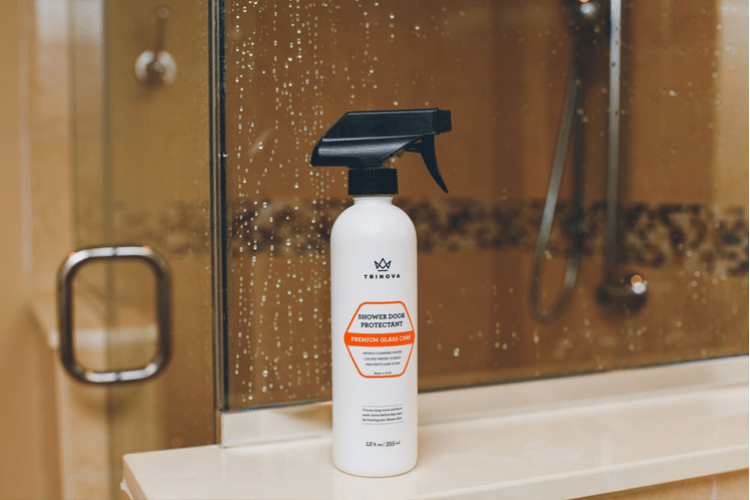 Rated 4 out of 5 by SamGray from Does a pretty good job overall I was excited to try this shower door cleaner. Overall, it does a good job of cleaning the doors. However, it does not eliminate calcium buildup that has accumulated on the door. As a cleaner, it does great. But I still need something like Lime away to get rid of the hard water and calcium deposits. Rated 3 out of 5 by jeanie from not that great i got this a couple days ago and used it on my shower doors and no it don't make the water bead up and roll of. Rated 5 out of 5 by Donna from Shower Doors This product was amazing!! You spray it on the shower Door and the product doesn’t show any water spots.